How do I register to win prizes? In order to be eligible to win prizes, you must have your ticket scanned at a total of 5 home locations and one of those locations must be in Gladden Farms. What are the Parade dates and hours? Admission is FREE to view the homes but you must download a ticket through this website or our mobile app. You will be required to show your ticket when you visit a home. Simply register to attend the event at paradeofhomestucson.com or through the mobile app (ticket purchasing on website and mobile app coming soon!). A confirmation email will be sent to the email address entered in when you redeem your ticket. Check your "Junk" mailbox or "Spam" if there is not a confirmation in your regular "Inbox". Print out your ticket with a QR code or have it available on your mobile device. You ticket will be scanned at each home you visit to "check-in" at that home. 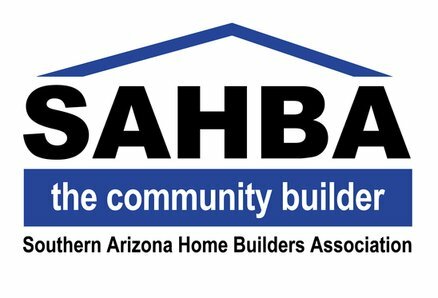 Our ticketing process brings the Southern Arizona Home Builders Association and Parade into the 21st century and allows SAHBA to better manage the event, resulting in an overall better experience for you! Free parking is available on city streets. Please obey parking laws. Some Parade homes (model homes) will have a parking lot. Do not park in the driveways of Parade homes. Yes! We encourage you to visit the homes as many times as you like for the duration of the Parade. Just be sure to bring your ticket with you so that we can scan it. Where is the Parade of Homes tour located? The Parade of Homes is a scattered-site tour throughout Tucson and the surrounding areas. You can see the locations of all of the homes by visiting the Map page on our website. Our mobile app also has a map feature which can give you turn-by-turn directions to each home. What is the best ways to learn about all of the home entries on the Parade? Through our mobile app and website, you can browse information on each home, see the maps, plan your route and get digital tickets. A Parade Magazine will be available as a special insert in the Homes & Land magazine starting January 26. It includes information on all Parade of Homes entries. Where can I get a map for these homes? You can view a map of the Parade Homes by clicking the "Map" tab in the bar located at the top of the page or by clicking the icon "Map of Homes" located on the home page just below the slideshow. The address and map of each home can be found by clicking on any of the home images listed under the tab "View Homes". Additionally, the mobile app for your smart phone will provide turn-by-turn directions to each home as well. A Parade ticket is valid for the duration of the Parade until 6:00pm on February 18, 2018.